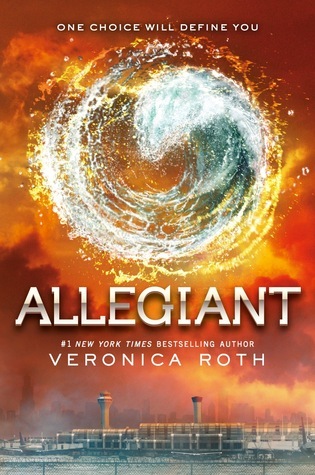 I won an autographed copy of Allegiant by Veronica Roth back when it first came out in October. It took a few weeks for the book to ship to me and I didn't get it until the middle of November. By then I'd heard a lot of awful things about it and didn't get up the nerve to read it until Thanksgiving. I had the idea for this post right after I finished the book, but I wasn't emotionally ready to write it until now. Do authors really own their readers anything? I hadn't thoughts about this idea much until I watched a BookTuber's video called I Hate Trilogies. While I'm not sure I agreed with the whole video, one quote in particular did catch me off guard. I had never thought of books this way. As a reader and aspiring author, books are something beautiful, something to be loved. And authors? They're people to be praised and admired, people to be impressed by, people who are great thinkers and lovers, heroes of communication through fiction. But the more I thought about it, the more I agreed with the above quote. Authors are asking a lot of their readers. They're asking to be heard, to be well listened to. Teens are not generally very great at listening. So when readers show us enough respect, admiration, and devotion to listen to a 50 to 85 thousand word peak into our inner thoughts and imagination, we, as writers, had better respect them enough to deliver a fantastic story. And so is born the unwritten writers contract. It's the understanding that exists between reader and writer. The reader will listen to what the writer has to say, and the writer will respect the reader and not break too many rules that the reader takes for granted. Readers are smart. They can figure some stuff out for themselves. After you have a big plot twist, you don't have to go back and explain how everything works. Let the reader trust the the twist is plausible. Let them figure out the details for themselves. In the same way, you don't have to show the reader your characters entire tragic back-story to make the reader believe the character is tortured. Just show them a few scraps and let them piece the rest together. One thing that really bothered me about Allegiant by Veronica Roth was how totally different the last book felt from the first two books. The world totally shifted, and I did not like the third book nearly as much. I thought I knew what I was getting myself into, and instead was handed this totally different novel. Veronica Roth lost a lot of my respect as a reader because of Allegiant, and I probably won't be picking up her future novels. If you say a character is dead, only to have them reappear half way through the book, your reader isn't going to trust future character's death. And if you keep doing that, you'll cheapen all characters' death as well as making the reader doubt you. In the same way, if the narrator says something is going to happen, it should happen in that book. 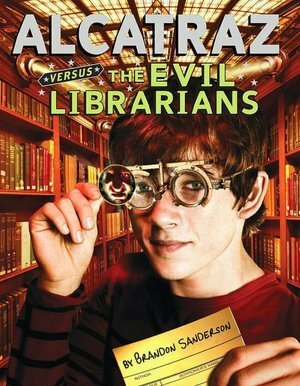 I loved the Alcatraz Versus the Evil Librarians series by Brandon Sanderson, but the fact that the scene we were promised in book 1 hadn't happened by the end of book 4, the last book, was quite disappointing for me as the reader. How can I give the author my trust and respect when they lie to me like that? Broken promises like that not only breaks your readers trust in you, it also takes away their suspension of disbelief. They can't let themselves totally fall into a story because at any moment you might tell them it's all a character's dream or bring zombies down on your honest coming of age story. The five points above are my five articles of an authors unwritten contact with the reader. When the author doesn't uphold their end of the contract, they lose my faith and trust. As a reader, the authors that I trust are the ones the deliver great stories time and time again. They can write about different characters and still write well. They don't hid genre shifts in the middle of their books and don't bring characters that are dead back to life. That's it for today's post. What do you think? Are there books or authors that lost your trust? 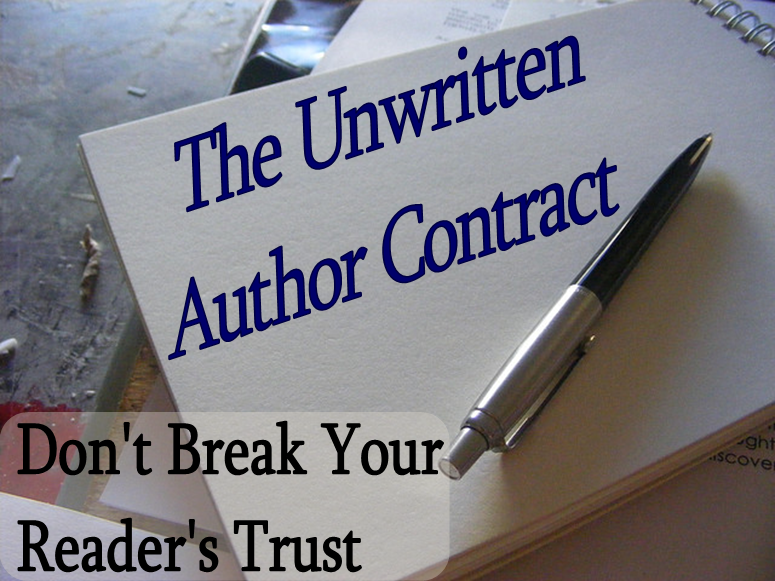 Are there key parts of the Unwritten Author's Contract I left out? As a reader, when do you feel betrayed by a book? As a writer, do you think these points are too limiting? What do you think of the quote and YouTube video? Leave a comment and share your ideas!Also, if you have any posts you'd like to see, let me know! If you're looking for another thought provoking video that inspired this week's post, here's one by the same YouTuber, Ariel Bissett, on what it takes to be a favorite author. Also, just a reminder that February's Teen Book Chat is tonight at 8:00 PM Eastern Time. Follow the hashtag #TBkChat! Interesting post, and I do agree very much with what you're saying, particularly about the first two and number five. As a note, I'm glad to hear I'm not the only one who was scared to read Allegiant. This is really interesting. I haven't thought about this before, but I agree with your points. While I do love to read longer books, it annoys me when the author drags the story out longer than needed. I love reading longer book, but the book has to be worth the length of the book. I don't read many trilogies or YA, so the issue doesn't bother me much. But, can completely see your point! I didn't agree with a lot of that video either, but it did get me to think. When I feel like I've come up with a good idea, I definitely feel that pride. But I've never thought much about the level of pretentiousness that comes from wanting people to like what you've written. It's not a bad thing, necessarily, but strange. I'm not saying I agree with a lot of what the video has to say, I am getting really tired of trilogies in YA. It just made me think. Being a skilled and careful writer is really important to me, and this forced me to remember to make my stories 100 % worthy of a readers time and money before sending it out into the world. I never thought of these things. But I totally agree with the quote. I read the first book, The Book of the King in the Wormling series. Then I got the rest of the series for Christmas. The first book was narrated but when I started the second book, it just felt really different. I tossed it to the side. It really made me think about my writing. GTW is pretty neat. I don't think I've seen you around much before.